It is Sunday October 20th, gorgeous, sunny weather and a perfect driving day. 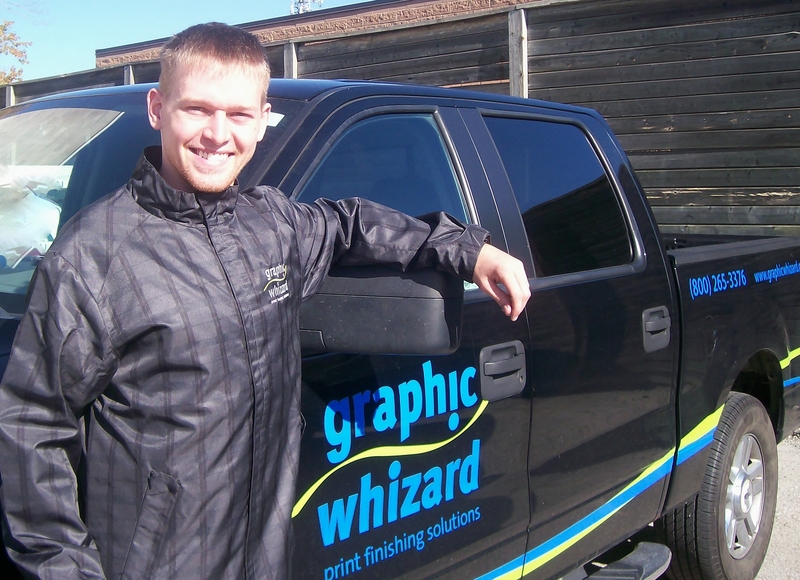 Today Jeff hits the road, heading south towards the border as he returns to meet the Graphic Whizard mobile showroom at Spiel Associates, NY. 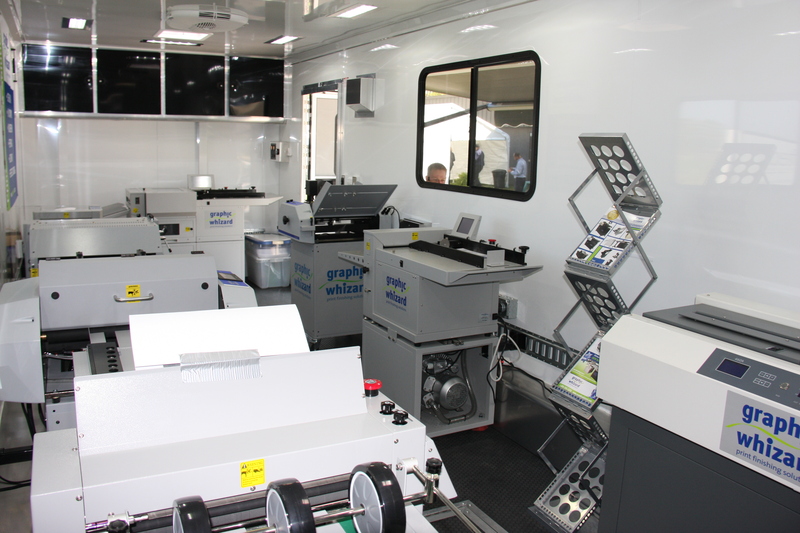 They were using some of the equipment for their recent (and successful) Open House and this coming week Chris Harrington (GW Director of Sales) and Michael Spiel will accompany Jeff and the mobile showroom to various locations on Long Island offering demos to printers in the area. This will be the trailers first series of visits to local shops and everyone is looking forward to these on-the-road introductions of Graphic Whizard’s line-up. After the showroom’s travels with Spiel Associates it will be making its way to New Jersey for a series of customer visits with Besttech Graphic Equipment. Shown here..inside the trailer all scrubbed and ready for business.